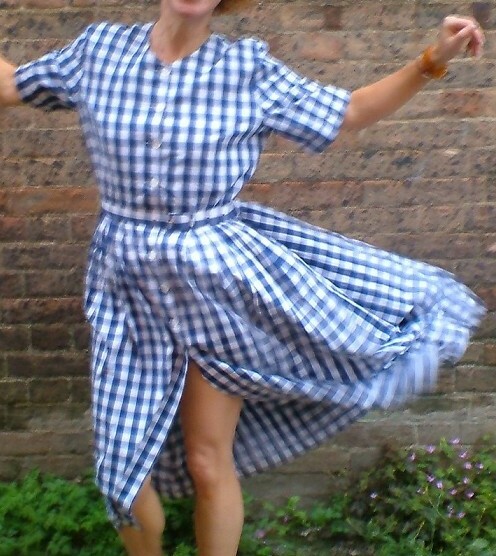 1950s vintage big blue check gingham dress. 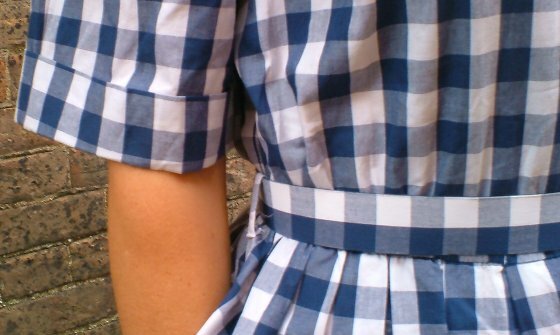 This is a particularly well made dress, with - unusually - all the selvedges overlocked. Overlocking machines were in use from about 1920, but it's not really until the early 70s that their use became widespread; earlier than this, it really is a sign of quality! 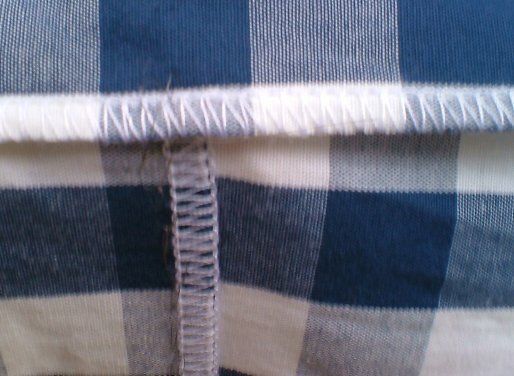 In line with the above, there's been no skimping of fabric here! 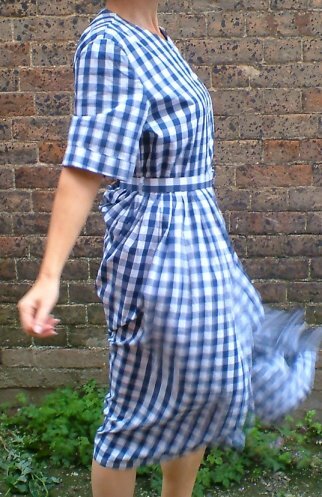 The skirt is full with two seam pockets, the little sleeves sport turn-ups, and shoulder pads could be added if required. 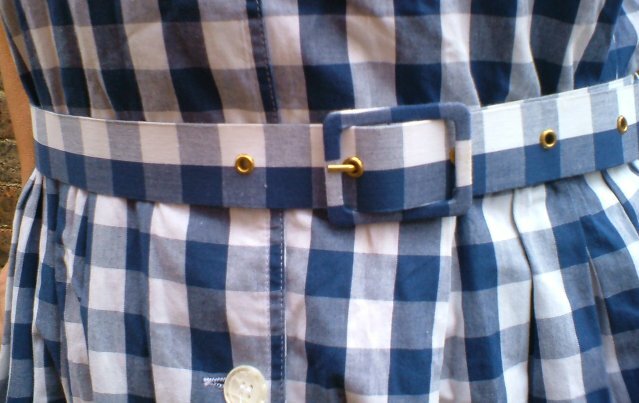 The fabric is a lovely, fresh feeling gingham cotton with a big check, and, as you can see, it still has the original belt. 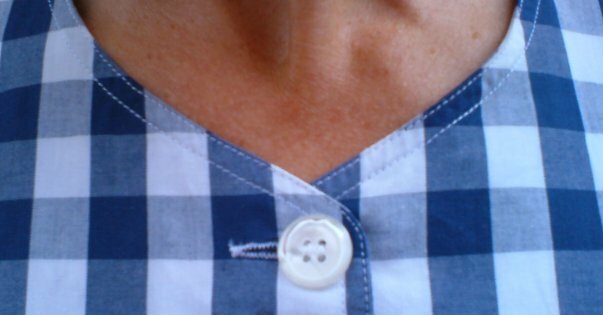 The waist is elasticated, and the dress fastens with nine buttons. 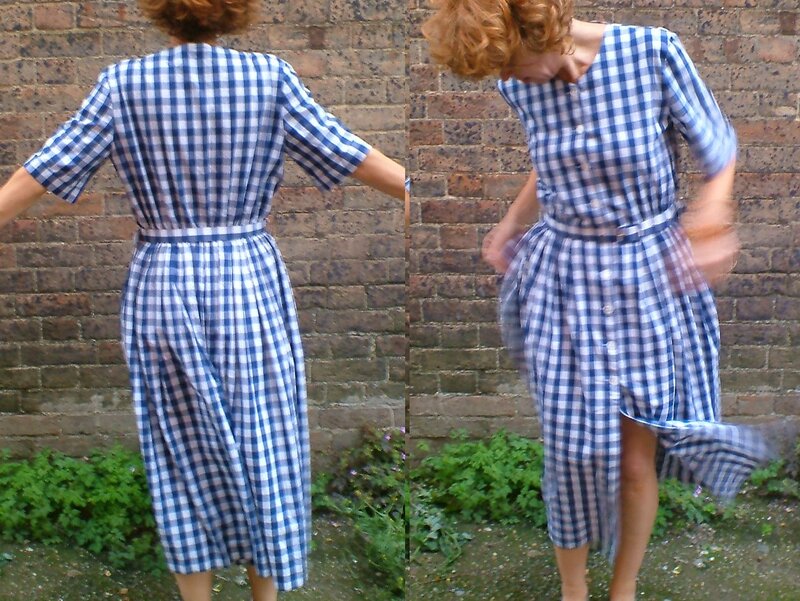 Don't be fooled by the demure neck line, though, there's plenty of scope to flash your legs! Best fit would be a UK size 12-14. 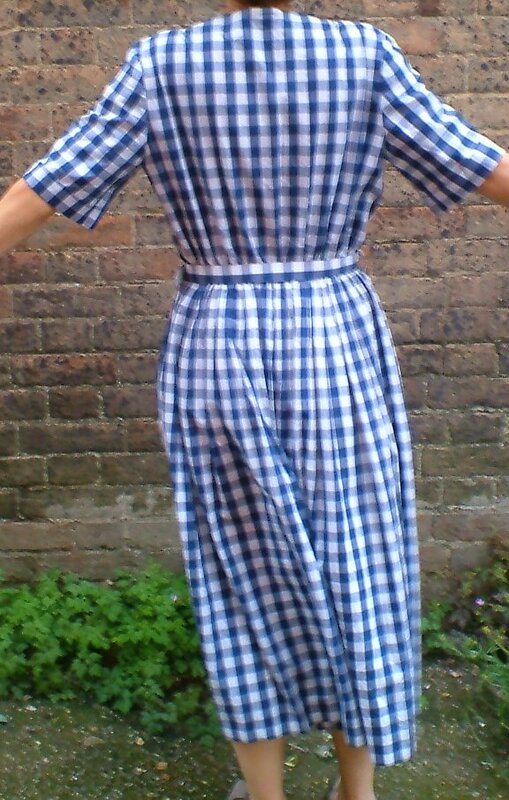 Approximate measurements are: bust 41 ins/104 cms, waist (unstreched) 31½ ins/80 cms, hips free, length from back of neck 49½ ins/105.5 cms.